Each month here on the Cookies con Amore blog we dedicate one of our cookies to a region of Italy. It’s an opportunity for you to learn a bit about the Italian culture that is baked into each of our cookies—whether they are gluten-free, sugar-free or classico. The Cuccidati is a fig-filled cookie that hails from Sicily. The star of this butter cookie is the filling: figs, dates, raisins, orange peel and a bit of marsala wine. It’s a traditional Christmas cookie and as we enter the holiday season November is the perfect month to showcase this cookie that’s one of our favorites. Each Sicilian town has its own take on this delicious cookie. It is known by different a variety of names: cucciddatu, vurciddatu, purciddatu or’ucciddatu and buccellati. It also comes in a variety of shapes: wreaths, logs and even animal shapes. The ingredients change slightly from town to town. Cookies con Amore head chef Fernanda adds chocolate chips to our filling and tops the cookies with a dash of powdered sugar and sliced almonds. We bake both gluten-free and classico versions of the cuccidati. Virtually every Sicilian family has a fig tree in the backyard and winter evenings are spent by the fire enjoying seasonal dried fruits and nuts. This island off the southwest coast of Italy is the largest in the Mediterrenean and lies at the crossroads of Africa and Europe. Its temperate climate and fertile soil yield a cornucopia of culinary delights. Along the coast, you’ll find vineyards and groves of citrus and olive trees. Almond grow in the the south. Wheat grows in the interior. 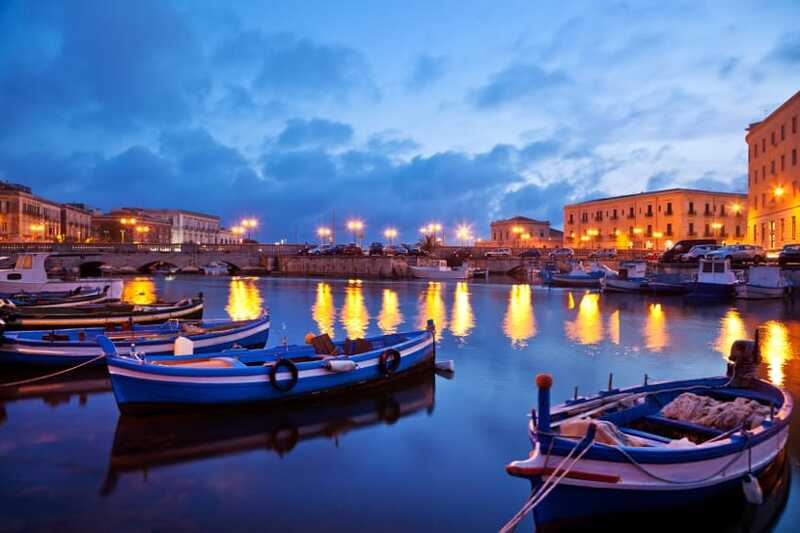 Sicily has long attracted foreigners to its ports. At various times, it was governed by Greeks, Romans, Byzantines, Arabs, French and Spanish—each adding their own influence to the local cuisine, which today is among the most diverse in all of Italy. Palermo is fascinating city with many interesting palaces, museums and churches as well as excellent restaurants. The sommelier at our local wine bar recently returned from a sojourn in Palermo and gushed to us about a one day cooking class she took with The Duchess of Palma. The lesson begins with a visit to the market for ingredients for an entirely Sicilian menu to be enjoyed in the dining room of an 18th century palazzo which was the last home of Prince Giuseppe Tomasi di Lampedusa, author of the world-famous novel The Leopard. Arance (Oranges): Oranges are everywhere in Sicily. Whether candied or squeezed into fresh juice or incorporated into savory dishes, you can’t miss them. Look for insalata di arance, a simple orange salad served with shaved fennel, marinated tuna and a fresh sardine. Arancini (Fried Rice Balls): Savory fried rice balls that are typically filled with meat sauce, green peas and sometimes cheese. Other fillings include spinach, mushrooms, eggplant or pistachios. They resemble small oranges, hence the name “arancini” and make a delightful snack. Cannoli: We have Sicilians to thank for the invention of cannoli: tubes of crunchy, fried dough that filled with ricotta cheese. Caponata: This very typical Sicilian ratatouille is a tangy, sweet and sour salad based on eggplant. It is seasoned with sweet balsamic vinegar, capers, tomatoes and sometimes pine nuts and raisins and served at room temperature. Pasta alla Norma: This Eastern Sicilian comfort food is made with fried eggplant, tomatoes, basil, and ricotta salata. Best enjoyed in the summer when eggplant is in season. Polpo bollito: Fish in Sicily is so fresh, it’s rarely served with sauces or even much seasoning. This is a classic example: It’s simply boiled octopus. Marzipan: In Sicily, almond paste is molded into little fruits. They are both delicious and works of art. Granita: This simple summer refreshment pairs ground ice with sugar and fresh fruit. Cassata siciliana: A sponge cake is soaked in liqueur, its slices layered with sweetened ricotta, and the whole thing covered in almond paste, then icing. Oh, and studded with candied fruits and other goodies. This one’s for serious sweet tooths only! Of course, you needn’t book a ticket to Italy to enjoy a taste of Sicily. Simply order a box of our Cuccidati (classico or gluten-free) and we’ll deliver some Sicilian dolce to your door. 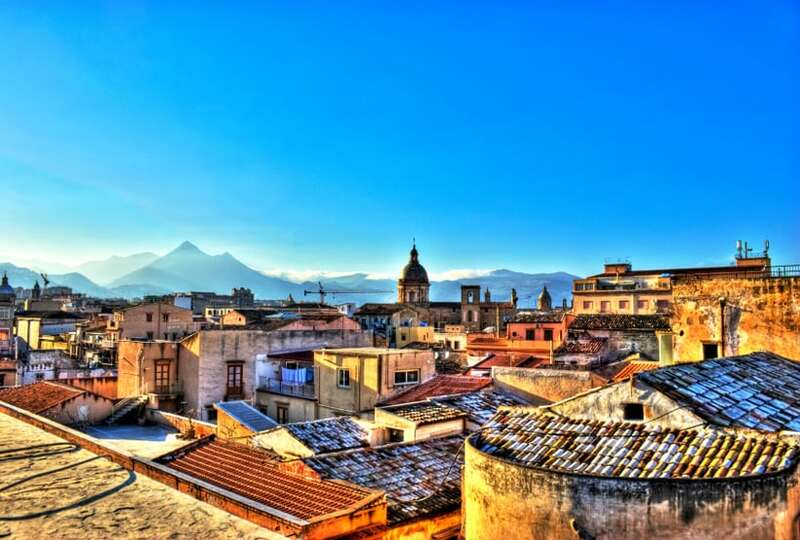 If you have things you’d like to share about your visits and experiences in Sicily, please add them to the comments. We’d love to hear from you! Thank you for reaching out to us, we are truly grateful for your interest in our products. The cookie that you are describing sounds like it could be our ricciarelli cookie. Although our ricciarelli is not sprinkled with almonds, it could be possible that only certain parts of Italy make the cookie that way.